Healthcare Associated Infections (HCAI) also known as Nosocomial Infections are a major cause of patient morbidity and mortality in our hospitals. Surveillance of HCAI is essential to track patient outcomes and to measure the effect of interventions on reducing infection rates. Many HCAI will occur after the patient has been discharged so while there is merit in recording HCAI during the inpatient period, the requirement for post discharge follow up of some kind is well recognised. The gold standard for surveillance of hospital acquired infections is a combination of laboratory based and ward liaison surveillance. This involves daily ward based liaison with staff, follow up of positive microbiological cultures and review by a clinician during the post-operative period. 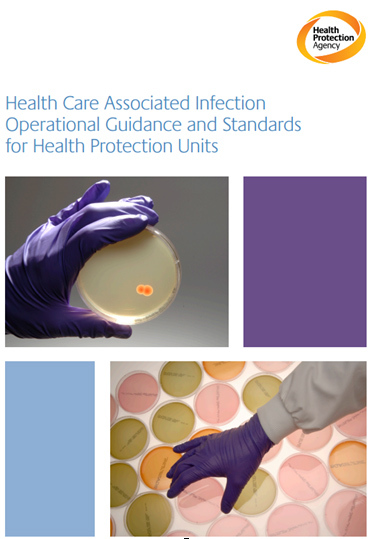 Medical Audits Systems have been developed to support IPC teams and surveillance scientists in the collection and analysis of rates of healthcare associated infections. This audit provides the opportunity to collect data on rates of SSI in your organisation. The definitions and standards used in the audit and the data collected includes both CDC and ECDC definitions of Surgical Site Infection in order to facilitate national and local requirements for data collection. Regardless of the definitions used, CONSISTENCY in the definitions used and in the method to collect numbers of infections is essential to ensure you have data that can be compared locally and benchmarked internationally. Auditing practice is essential to measure performance, evidence compliance and identify gaps in practice that may increase the risk of SSI. Feedback of data should be prompt and issues identified should be notified to staff at the time of audit to improve learning and reduce risks for patients. 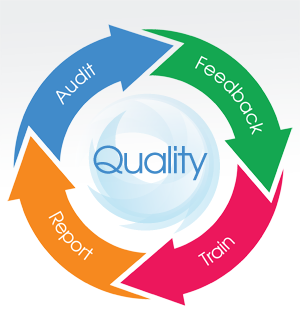 This audit system enables immediate feedback as well as tracking of non-compliances. Urinary tract infections (UTIs) are recognised as one of the most common healthcare associated infections. Data from the 2012 prevalence survey of HCAI in acute hospitals in Europe revealed 42% of patients who had a Urinary Tract infection had had a catheter in situ in the previous 7 days. The presence of a urinary catheter and the length of time it remains in situ are contributory factors to the development of a catheter-associated urinary tract infection (CAUTI). 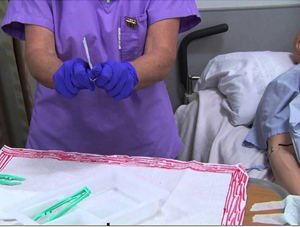 It has been estimated that the risk of acquiring an infection increases by 5% each day the catheter remains in situ. Medical Audits CAUTI Surveillance audit is designed to monitor the rates of catheter associated infections in your organisation. The definitions used are based on the most up to date research and best practice standards and enable the benchmarking of results with other organisations using the same definitions. Although a 46% decrease in Central Line Associated Blood Stream Infections (CLABSI) have occurred in hospitals across the U.S. and Europe from 2008-2013.
n estimated 30,100 central line-associated bloodstream infections (CLABSI) still occur in intensive care units and wards of U.S. acute care facilities each year. This figure does not include peripheral line related infections. Data from the 2012 prevalence survey of HCAI in acute hospitals in Europe revealed 42% of blood stream infection (BSI) were directly associated with an IV device in situ. The presence of an IV device and the length of time it remains in situ are contributory factors to the development of a BSI. Medical Audits Surveillance systems enable auditing of BSI rates. The BSI Surveillance audit is designed to help you monitor the rates of blood stream infections in your organisation and track the number associated with invasive devices. Medical Audits have developed an audit tool specifically to support Infection prevention and control nurses (IPCN) during daily ward rounds. Using our system will assist in data collection and analysis of compliance with best practice in reducing risks of healthcare associated Infection. Medical Audits develop our systems with reference to National standards for Infection prevention across the EU and the UK and including the US and Australia. You can audit against all the newest standards and be confident you will identify issues quickly and efficiently.